Our desire to deliver world class manufacturing solutions and total customer satisfaction is the driving force behind our Quality Assurance policies and procedures. These combine to deliver high reliability products, in accordance with our customers specifications, on time, in full, at a competitive price. Our Quality Management System has been assessed and registered against the provisions of BS EN ISO 9001:2015. And our workmanship standards are in accordance with IPC A 610 Class 2 & 3. JJS Manufacturing has developed a strong quality culture over many years, employing procedures and instructions to ensure repeatable success. 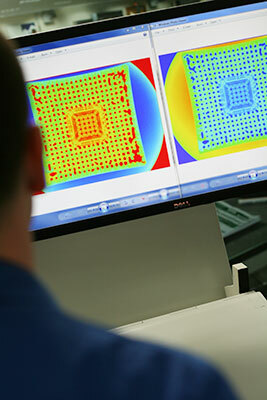 We have a proven track record of maintaining high quality standards and process controls. 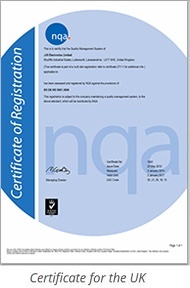 JJS takes its commitment to the environment very seriously and is accredited to ISO 14001:2015. To view our latest certificate please click here. You can also find our Environmental Policy here. Historically, many different and often contradictory standards of manufacturing workmanship have existed. Our staff are trained to the international standard IPC 610 A class 2 and 3, with the versatility to be able to confidently work to any other agreed standard of workmanship. JJS Manufacturing are committed to managing all their REACh compliance activities in order to prevent/minimise any supply chain disruption to their customers. Download our group policy here. JJS Manufacturing is committed to sourcing components and materials from companies that share our values around human rights, ethics and environmental responsibility. JJS Manufacturing is monitoring the status of conflict minerals with the intent of supporting customers by implementing due diligence and compliant processes once the required infrastructure and regulations become available. Download our group policy here. Our customers rely on us to continually improve our own internal processes and procedures whilst supporting them in areas such as Design for Manufacture (DFM) and Design for Test (DFT). We provide each staff member with the tools they need to suggest process improvements and they are empowered and encouraged to see these through. In order to manage this process, we have developed several methods of capturing improvement suggestions and data. These are then reviewed on a monthly basis by a cross functional continuous improvement team and results are communicated out to the rest of the business. 1. Integrated Management System (IMS). 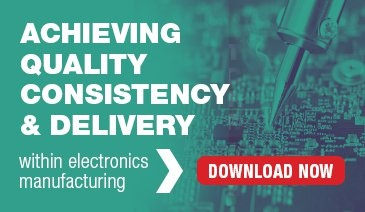 Our IMS platform, in conjunction with the surface mount (SMT) equipment we use, provides ‘real time’ component placement and defect reporting. Each month our engineering team review this data and look at trends, implementing improvements wherever possible or feeding this information back to customers through DFM consultations. A traveller document accompanies each New Product Introduction (NPI) we build. If the engineer responsible for overseeing the product feels an improvement could be made they will record their observations and then the Account Manager will discuss these further with the customer. In order to formalise this feedback and ensure appropriate actions can be taken, a detailed NPI report is created and sent to the customer. Regardless of whether the build is an NPI, each batch of SMT boards we produce also has its own build log. If the production operator feels further improvements can be made, for example a change to attrition levels or the way certain components are packaged and presented to the pick and place machines, they record this and feed it back to engineering. Our green card process improvement scheme was specifically designed to be accessible to all staff. And the idea behind it was deliberately kept simple. Any member of staff that can suggest a process improvement, regardless of whether the business will implement it, will get an immediate reward. Sometimes things go wrong and don’t work out the way we expected them to despite our best plans. Unfortunately, in such a complex and varied manufacturing environment ‘incidents’ can occur from time to time. Whilst in an ideal world they wouldn’t, the reality is that they do. And any electronics manufacturing solution provider that tells you otherwise should be challenged! A key priority for us is how these are captured within the business, actioned, and then communicated both internally or externally. The bespoke database we have developed captures every ‘incident’ that has the potential to impact our business; whether it originated from a supplier, customer or internal department. Unlike some companies we don’t have separate databases to track separate ‘incidents’. We work on a single platform and can therefore look at the complete picture and identify trends and opportunities for improvement much easier. Any ‘incident’ that could cause a production stop, such as a component shortage or the wrong material delivered are immediately flagged to the heads of department and senior management team. An owner is immediately assigned and they are responsible for both managing the resolution and updating the organisation with their progress. Similarly, any ‘incidents’ that are formally reported back to us by a customer are treated exactly the same way. Whilst an investigation is being carried out, our Account Management team are responsible for updating our customers on the findings, progress and corrective actions. Of course, it’s important to note that not all ‘incidents’ end up being a cause for concern. For example, our logistics team may ‘reject’ a batch of material due to a lack of incoming paperwork. Once the issue is recorded and raised with the supplier, and the paperwork is supplied, the ‘incident’ can be quickly closed out. Or perhaps a customer requests a design modification to a product we have previously built and shipped. Clearly this is not a 'complaint' or internal 'incident' but regardless we capture the details and record the progress through this central database. JJS has developed robust procedures for supplier selection and performance monitoring that prevent counterfeit devices from reaching or passing through our goods-in inspection process. Our anti-counterfeit procedures have evolved in line with industry best practice and operate in accordance with the requirements of evolving standards such as AS5553, the specialist standard for the avoidance, detection, mitigation and disposition of Counterfeit Electronic Parts. Our staff have a range of equipment at their disposal to assist them in this area, including high resolution microscopes, solvents to check for device marking permanence, equipment for electrical testing, solderability tests and a specialist X-ray system. We are experienced in releasing product to the above compliance approvals and recording the required in-process information.